It’s the word… LOVE. It’s been said that it’s all you need. We are so thrilled to send a burst of Beatles adventure (airfare, hotel and dinner for two included!) 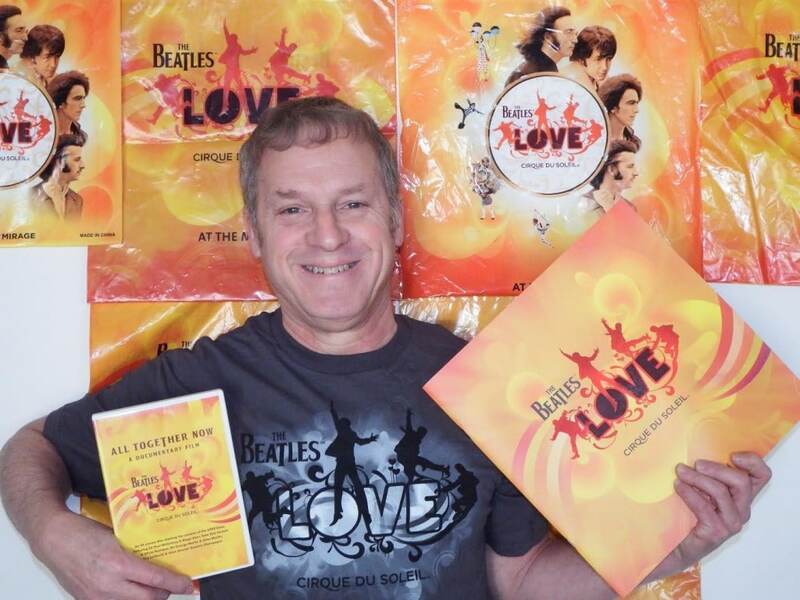 to yet another Las Vegas LOVE Cirque du Soleil giveaway winner. This is winner NUMBER 9 and counting! Carl has graciously accepted the prize in his runner up status! 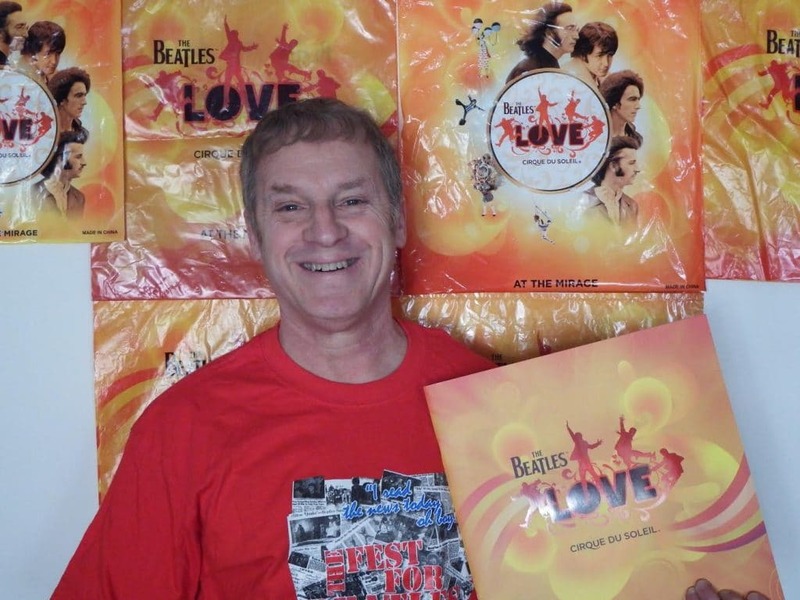 We are so pleased to give this trip to him — a true Beatles fan who, you will probably agree after reading his note, is oh so deserving of this trip. 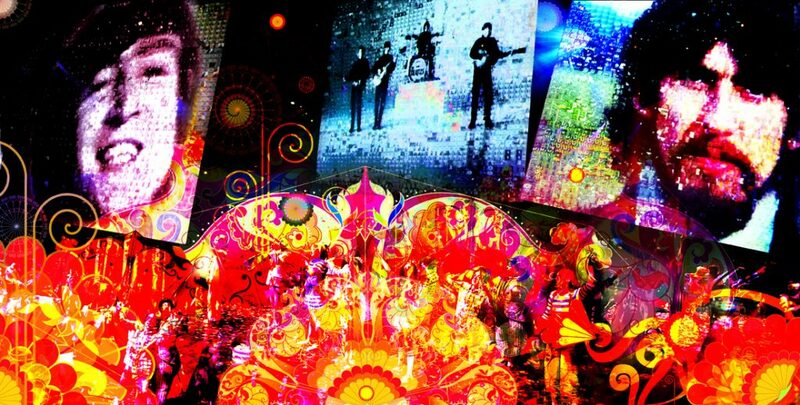 The ::magic:: of the Beatles LOVE Cirque du Soleil experience is something to be experienced by every Beatles fan, taking our beloved songs and twisting them into flying, catapulting, technicolor theatrics, gymnastics and artistic heights. Thank you to everybody who entered, and stay tuned as we give away another trip before Chicago Fest in August! Be sure to like our Facebook page not to miss a thing. 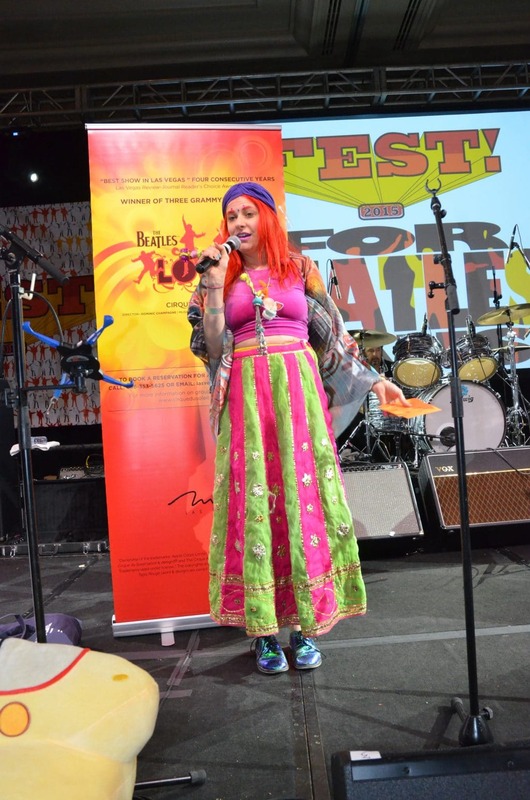 “I have been a loyal Fest attendee since the first one in 1974. In fact, I have a countdown clock that is set to countdown to the next Fest! 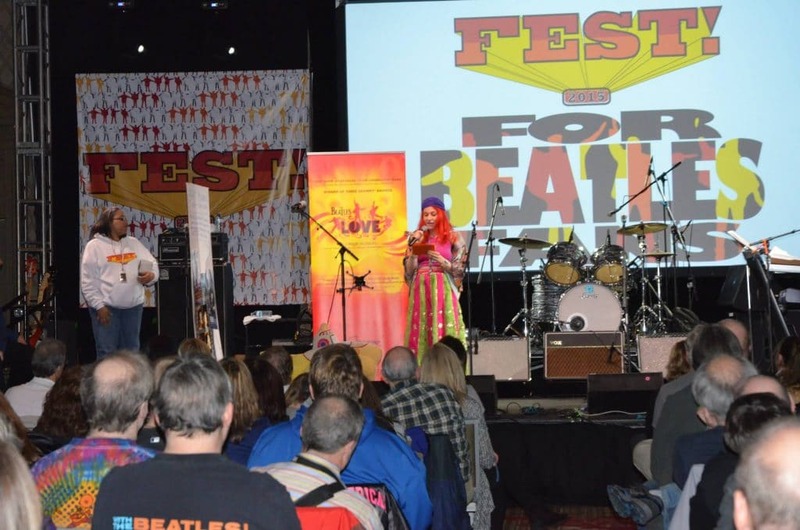 At the first Fest, the Beatles contributed instruments that were raffled off. I didn’t win—although I did tap on the tabla from “Within You Without You” that another attendee won. Years and years of checking my wrist band numbers as Mark called out winners, and all I’ve won is a Yellow Submarine DVD poster. But this year I sure hit the jackpot! I still can’t believe it! I visited Las Vegas in 2009, but “Love” was sold out. I was, of course, very disappointed. I didn’t know when I’d make it back to Las Vegas—and all my friends and relatives who had seen the show telling me what I missed didn’t help. I would be terribly remiss to not thank the people who are MOST responsible for this: THE BEATLES! The Beatles were not just the greatest group in rock history. They a miracle of not just being the best composers, but also were genius musicians who could perform better than anyone else, and were blessed with a producer who could expertly bring their ideas to reality. They were four “mensches” who presented an uplifting message, who examined the human condition, told us that life can be wonderful, that we all have the ability to lift ourselves up, to work with each other, and make life wonderful. Even though they could write a song like “Eleanor Rigby” that tears out your heart, they also told us that there will always be sunshine even when we are in winter, that rain is good, sad is just a state of mind, and of course, we CAN take a sad song and make it better. That is why I firmly believe Beatles music will last forever. As Paul said, they could have sung about the devil. But they didn’t. They followed their hearts and told us that life is wonderful if we only try. On today’s date in 1964, with Beatlemania in full swing, the Beatles released “Can’t Buy Me Love” as a single with “You Can’t Do That” as the B side. 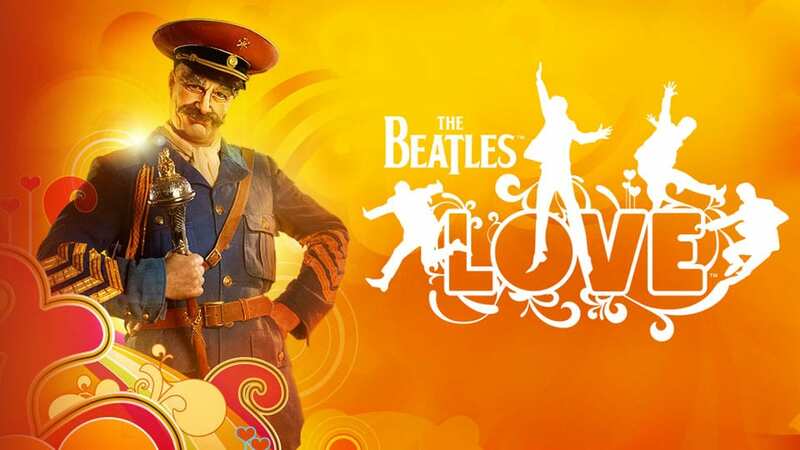 In an example of how hot the Beatles were at the time, the single was certified gold the same day it was released after advance sales in the United States exceeded 2.1 million. While remembering just how remarkable the Beatles’ accomplishments were in 1964, let’s take a look at videos of some of the best live versions of the five songs that made history.